This installation is on a slate roof. The customers wanted the array to have a very low visual impact as it was on the front of their property so we used an in-roof mounting system by Renusol, and Phonosolar all black monocrystalline solar panels. 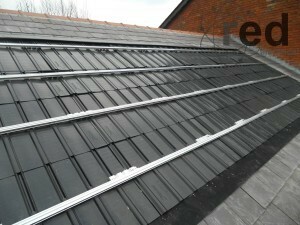 This involves removing the slates where the array is to be installed and installing Renusol’s Intersole plates. This creates a weatherproof covering for the roof and then the solar panels are installed over the top. It is far and away the best method of installation onto a slated roof as there are no slates beneath the array that may fail in the future, and it is also visually sympathetic to the building. The finished system looks excellent. 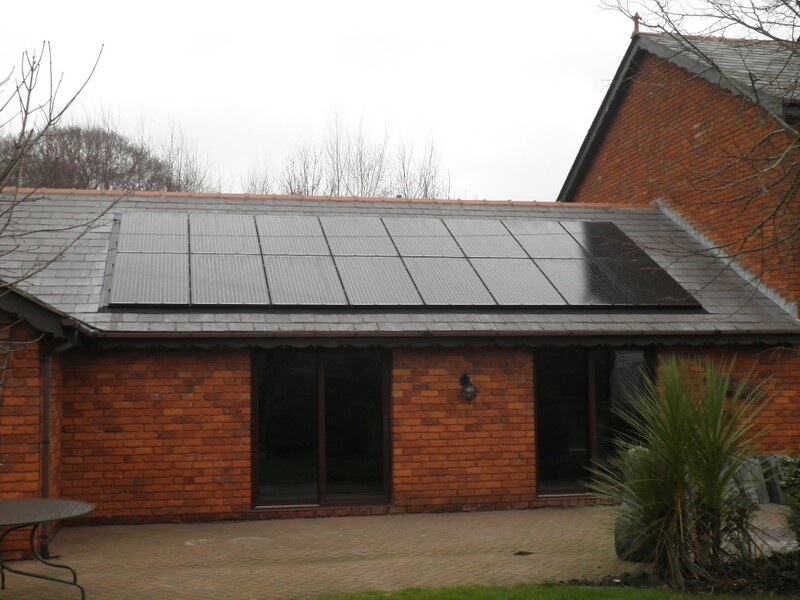 The matt look to the Phonosolar all black solar panels, and the low profile afforded by the Renusol mounting system compliment the surrounding slates perfectly. 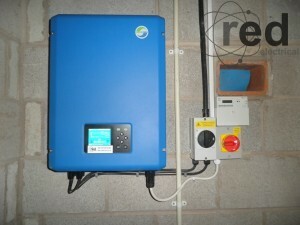 4kW all black solar panels with in-roof mounting system. There is some shading from the two storey part of the house onto the panels on the right hand side early in the morning, so we chose a Samil dual tracker inverter. This means that it deals with the system as two sets of eight panels, those on the left therefore being unaffected by the shading on the panels on the right. Samil inverters are excellent quality and come with a ten year warranty as standard. The yield projection for this system from our software is 3688kWh per annum, which includes a 4% loss due to the shading from the two storey part of the house.